For much of the past century, scientists studying drugs and drug use labored in the shadows of powerful myths and misconceptions about the nature of addiction. When scientists began to study addictive behavior in the 1930s, people addicted to drugs were thought to be morally flawed and lacking in willpower. 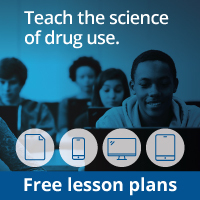 Those views shaped society’s responses to drug use, treating it as a moral failing rather than a health problem, which led to an emphasis on punishment rather than prevention and treatment. Today, thanks to science, our views and our responses to addiction and the broader spectrum of substance use disorders have changed dramatically. Groundbreaking discoveries about the brain have revolutionized our understanding of compulsive drug use, enabling us to respond effectively to the problem. As a result of scientific research, we know that addiction is a medical disorder that affects the brain and changes behavior. We have identified many of the biological and environmental risk factors and are beginning to search for the genetic variations that contribute to the development and progression of the disorder. Scientists use this knowledge to develop effective prevention and treatment approaches that reduce the toll drug use takes on individuals, families, and communities. Despite these advances, we still do not fully understand why some people become addicted to drugs or how drugs change the brain to foster compulsive drug use. This booklet aims to fill that knowledge gap by providing scientific information about the disorder of drug addiction, including the many harmful consequences of drug use and the basic approaches that have been developed to prevent and treat substance use disorders. 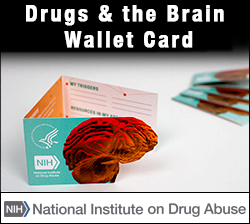 At the National Institute on Drug Abuse (NIDA), we believe that increased understanding of the basics of addiction will empower people to make informed choices in their own lives, adopt science-based policies and programs that reduce drug use and addiction in their communities, and support scientific research that improves the Nation’s well-being.